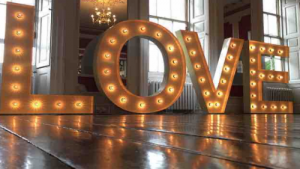 Muddy says: lights are an essential part of any party or event and these 5ft giants will certainly make a statement. The entire alphabet is available so possibilities are endless. 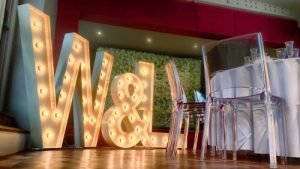 Our fabulous 5ft tall illuminated letters will create a stylish WOW factor to any special event or party that you’re planning. 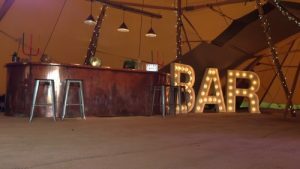 They feature authentic Italian Cabochon fairground bulbs and are made from heavy gauge aluminum, hand-finished in antique cream. 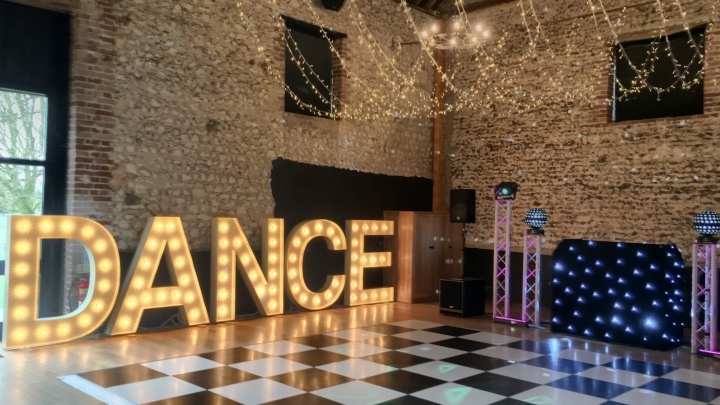 We can supply most combinations of letters, subject to availability and dependent on the space you have available within your venue (we recommend allocating a width of 5ft for each letter). Our services predominantly cover London, Cambridgeshire, Suffolk, Buckinghamshire, Northamptonshire, Hertfordshire, Norfolk and the surrounding counties however we will deliver nationwide. Our illuminated letters and numbers are for indoor use only and are fully PAT tested and insured. We are part of the wedding and event planning company Frocks & Rocks so if you’re planning an event and want to have a chat about how we can help, do give Vanessa or Dom a call.